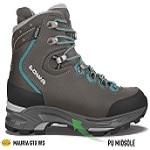 If you want to be well-equipped for all eventualities, then the LOCARNO ICE GTX® MID is your best bet. Fashionable and filled with performance details, this winter boot features trendy accents for the city to the great outdoors. In these times of urban life if you prefer not to do without warm feet and secure footing, you will find a great friend in the LOCARNO ICE GTX® MID. This trendy winter shoe skillfully masters the balancing act between a casual leisure time sneaker and performance outdoor shoe. 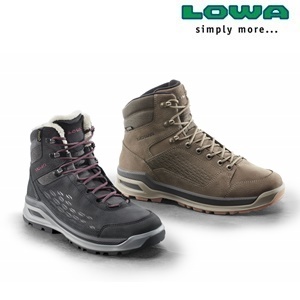 Whilst the direct injection-moulded midsole of LOWA DynaPU® ensures optimum comfort, the durable nubuck leather with its cosy soft GORE-TEX® Partelana lining offers top protection from wind and weather. But this lifestyle boot also won’t perform any mishaps with its VIBRAM Arctic Grip outsole. Move stylishly through the cold season — if you previously believed a winter boot must be clunky and thickly lined, you’ll learn a thing or two from the LOCARNO ICE GTX® MID. The trendy and multifunctional lifestyle model doesn’t only mean great pleasure at the outdoor holiday market, but will also charm on any outing in the snowy countryside.